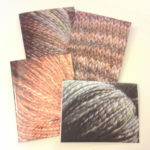 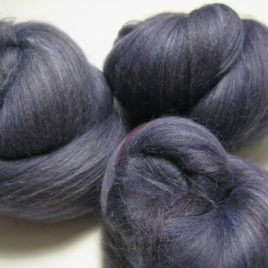 This 4.6-oz set of batts is carded from corriedale, Portuguese wool*, silk, angelina, and icicle. 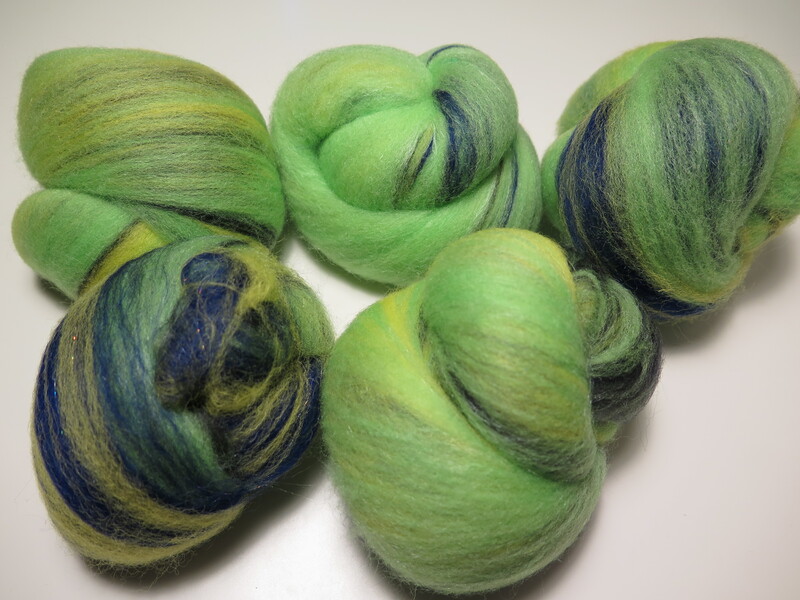 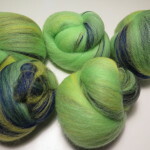 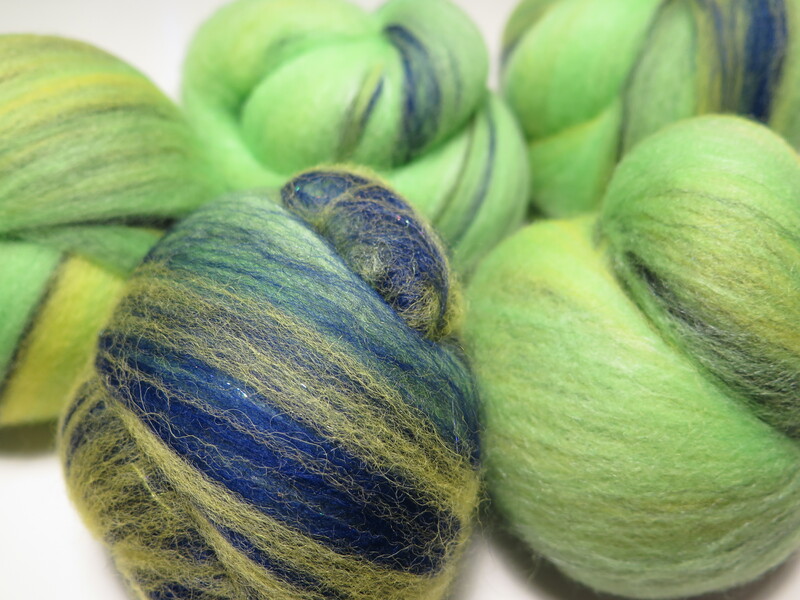 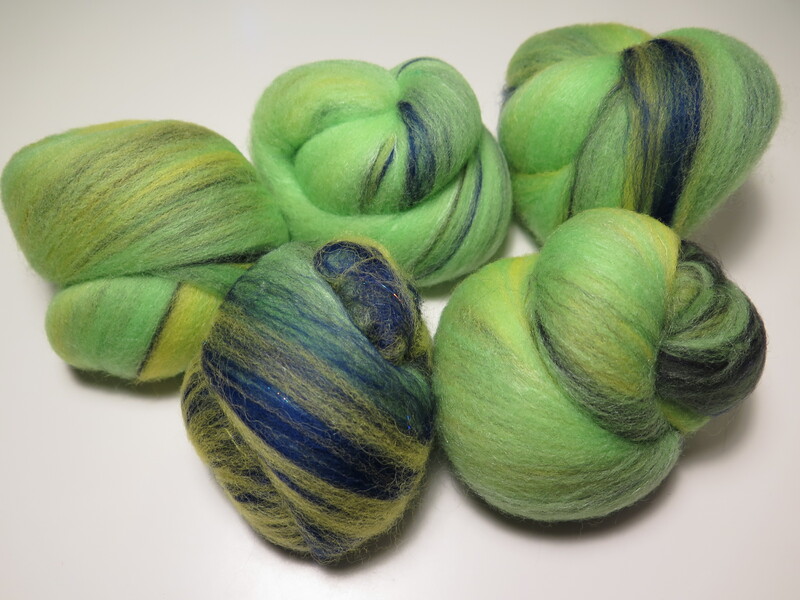 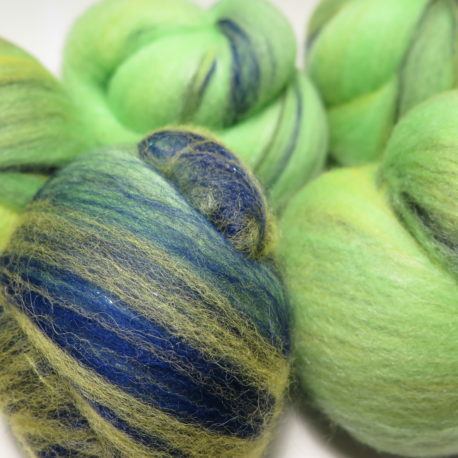 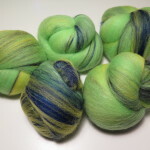 These batts are a mix of bright green, yellow, royal blue, and black, with subtle sparkle from the icicle and less-subtle sparkle from prismatic silver angelina. 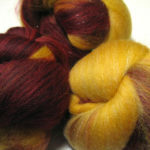 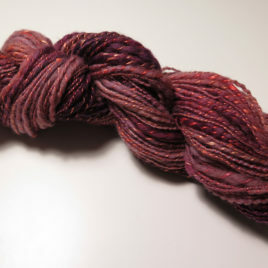 This blend should spin up easily into a smooth yarn. 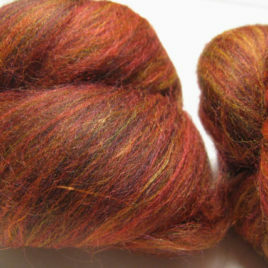 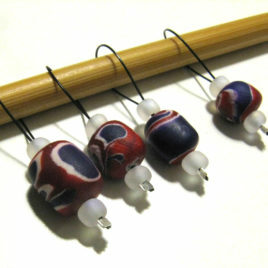 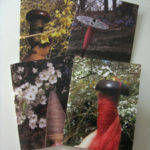 It would make great mittens or an eye-catching scarf or sweater yoke.